An architectural salvage crest was deeply carved in the 1880's during the Victorian period. Solid walnut, the dark toned finish is in excellent condition. 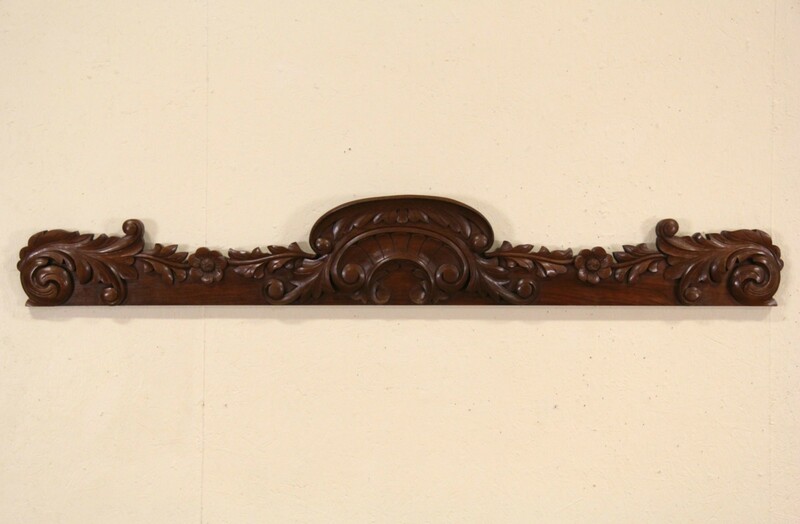 This American made antique is a three dimensional work of art, interesting whether hung on the wall, over a window, archway or a fireplace mirror. Measurements are 64" wide, 10" deep and 3" thick.